Although many people have heard that Styrofoam is detrimental to the planet, few understand how Styrofoam harms the environment. Find out the impact Styrofoam has on the planet to help you minimize the damage caused by this material. Styrofoam has become such an accepted everyday product that people rarely stop to realize that it is made from polystyrene, a petroleum-based plastic. In fact, Styrofoam is a trade name for expanded polystyrene (EPS), points out a 2015 BBC report. It explains that polystyrene beads are processed using chemicals that are steamed and expand, creating the substance EPS. It gained popularity because it is lightweight; it's 95% air. It offers good insulation properties that keep products cold or hot, and keeps things safe during the shipping process without adding weight. However, over the years information about harmful effects of Styrofoam/EPS on people's health and the environment have been accumulating. Environmental health concerns start with the elements used to make Styrofoam. Styrene, for example, is the one of the main ingredients used to make polystyrene. Though the American Chemistry Council notes there are differences in polystyrene (solid) and styrene (liquid), and while there are differences in the final makeup, styrene is still part of polystyrene. The International Agency for Research on Cancer had already established styrene as a possible human carcinogen in 2002. So does a 2014 National Toxicological Program report on carcinogens (page 1) which classifies styrene as "reasonably anticipated to be a human carcinogen" and being linked to occurrence of leukemia and lymphoma cancer. Though the Environmental Protection Agency (EPA) report on styrene does not yet classify it as carcinogenic, it lists many occupational hazards for those who are exposed regularly in the manufacture of products made with styrene. Some of the acute health effects experienced include irritation of the skin, eyes, and the upper respiratory tract and gastrointestinal effects. The EPA report says chronic exposure to styrene leads to further complications, including adverse effects on the nervous and respiratory systems, and possibly the kidney and liver, as well as other issues. It also caused increased spontaneous abortions in women. Contact with liquid styrene during the manufacturing process can lead to first degree burns according to an NIH report. Food in Styrofoam containers can be contaminated by chemicals that leach into the food, affecting human health and the reproductive systems. This is accentuated if people reheat the food while still in the container. A research study shows that styrene can leach out from EPS. Even the American Chemistry Council admits that there is transmission of styrene from Styrofoam to food, albeit in minute quantities. So people using Styrofoam do get contaminated by styrene, and can suffer from its health impacts. The Environmental Working Group (EWG) wants EPA to ban styrene as it has been found in 40% of Americans. As the NIH report points out, containers are only one way that styrene can get into human bodies. Air pollution due to proximity to industries that make Styrofoam are another channel to get exposed to Styrene, according to the NIH report. Many of the chemicals used in the manufacturing process are toxic, and workers who make them are at greatest risk. Moreover, emissions from these factories can pollute the air, and the liquid and solid waste produced need disposal. HFCs, or hydrofluorocarbons used initially in the manufacture of Styrofoam, were released during production processes, although they have now been replaced. However, damage has been done as HFCs contribute to to global warming. Now Styrofoam production uses cardon dioxide and pentane instead of that pollutant. Benzene is another key ingredient used in making Styrofoam. It is considered a carcinogenic that is foremost an occupational hazard, even causing leukemia in severe cases, according to EPA. It is a Volatile Organic Compound classified as a key pollutant by EPA, that is mainly in air, but reaches soil and water when washed down by rain and snow. It can then enter underground supplies, because it can dissolve in water to some extent, according to an NIH report. Dioxins are Persistent Organic Pollutants (POP) that are used in manufacturing polystyrene. Dioxins cause immune and hormonal problems and affect fetal development as an occupational hazard to workers exposed to it. When Styrofoam is burnt for energy or for disposal, it is released into the environment leading to air pollution and health problems when inhaled by people and animals. Styrofoam appears to last forever as it is resistant to photolysis, or the breaking down of materials by photons originating from a light source. Cleveland State University states that it requires more than a million years to decompose. 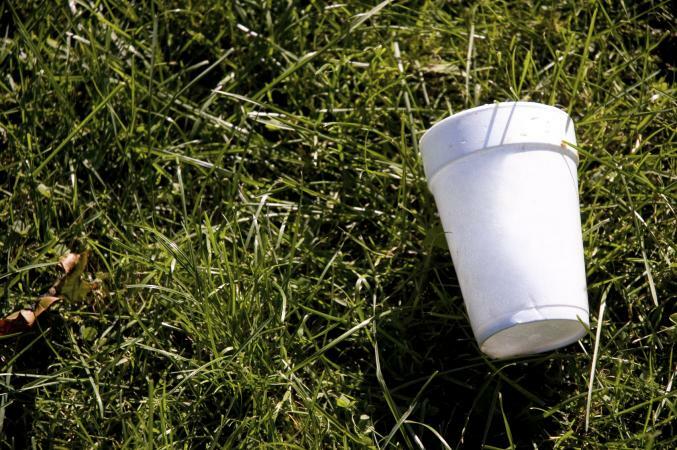 According to Scientific American, in 2014 a total of 28,500 tons of Styrofoam was produced and 90% was used to make single-use cups, trays, containers and packaging products. Other major uses of Styrofoam are as insulation boards for roofs, walls, floors in buildings, and as loose packaging material called packing peanuts. While it can be recycled, the recycling market is diminishing. In many communities, people are told that their recycling companies will not accept polystyrene products. Facilities for curbside collection or drop off centers for packaging material and food containers are not evenly distributed in the USA. Those that are recycled are remanufactured into things like cafeteria trays or packing filler. 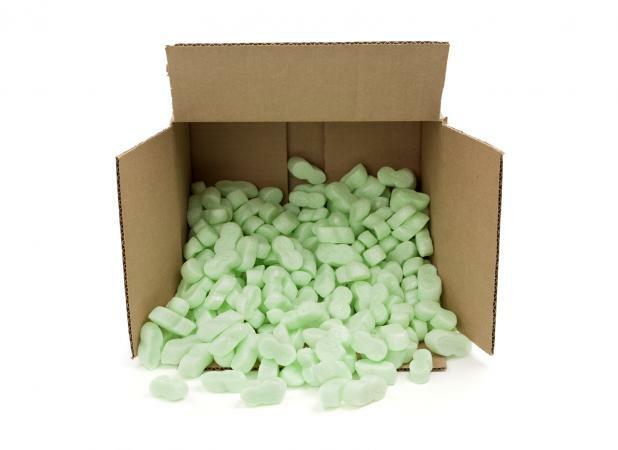 Some states like Texas do not accept packaging peanuts for recycling as they break easily and pollute the environment, so keep an eye on what can and cannot be recycled if there is a center near you. It is difficult to recycle on a large scale due to its production process according to the 2015 BBC report. And this has been the reason many cities and towns are banning use of Styrofoam, according to a 2015 MSNBC report. Styrofoam easily breaks into small bits. Small land and aquatic animals eating these pieces die due to toxins and blockage of their stomachs leading to starvation, according to Los Angeles Times. This, combined with the fact that Styrofoam is lightweight and therefore floats, means that over time a great deal of polystyrene has accumulated along coasts and waterways around the world. It is one of the main components of marine debris. Given its porous nature it absorbs many other carcinogenic pollutants in the sea water like DDT produced in other countries, according to Los Angeles Times. Much of it sinks to the bottom of the sea where it pollutes the seabed. When the fish eat toxic materials in Styrofoam and the additional pollutants it absorbs, the chemicals bioaccumulate and can harm people who consume this seafood according to the Los Angeles Times. Another reason that Styrofoam is harmful for the environment is that it is made with petroleum, which is a non-sustainable resource. A 2016 Worldwatch Report notes that "About 4 percent of the petroleum consumed worldwide each year is used to make plastic, and another 4 percent is used to power plastic manufacturing processes." In addition, petroleum production creates heavy pollution. Coming up with a suitable replacement for Styrofoam/EPS has been quite a challenge for scientists, although there is hope. A company called Ecovative Design has created a line of products product made from fungi that are Styrofoam-like and aspire to be a more environmentally friendly replacement for structural components like packaging material. There are many different bio-composite materials available as insulation that can replace Styrofoam in construction. Reduce Styrofoam usage by foregoing single-use items. 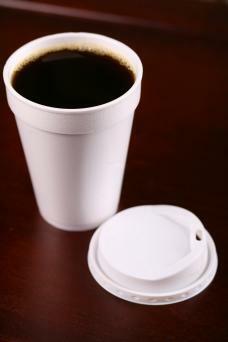 Use or ask for paper cups instead of Styrofoam. 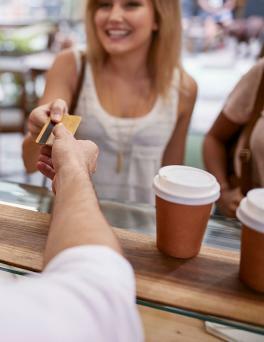 Many coffee outlets, university cafes and Slurpee retailers offer a discount when customers bring their own mugs and cups. Some even offer the possibility of sharing mugs. Reducing dependance on Styrofoam is the best way to decrease its production and effect on the environment. 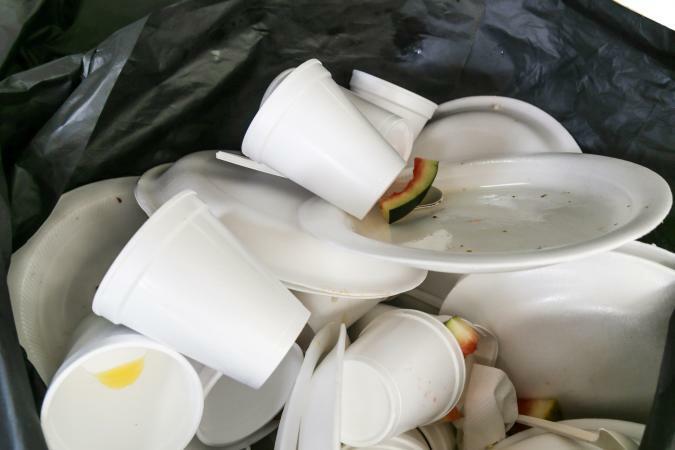 If you want to make eco-friendly choices to eliminate the use of Styrofoam, look for products manufactured from renewable resources, containing biodegradable materials, and those that are easily recycled.